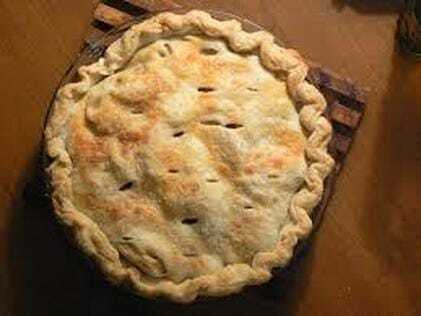 Looking for the perfect classic apple pie recipe? Look no further! Preheat oven to 420*F. Prepare Double-Crust Pastry. Mix sugar, flour, cinnamon, nutmeg and salt in large bowl. Stir in apples. Turn into pastry-lined pie plate. Dot with butter. Trim overhanging edges of pastry ½ inch from rim of plate. Roll round of pastry. Fold into fourths and cut slits so steam can escape. Unfold top pastry over filling; trim overhanging edge 1 inch from rim of plate. Fold and roll top edge under lower edge, pressing on rim to seal. Cover edge with 3-inch strip of aluminum foil to prevent excess browning. Remove foil during last 15 minutes of baking.